Presenting the DPS 2017 DPS Top 30 Readers’ Choice. Top 30 Vendors, Products, and Services of 2017. 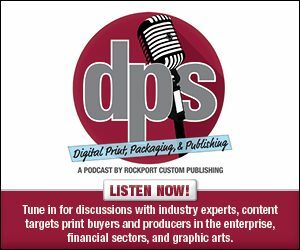 Each year DPS magazine recognizes the top performing industry vendors as decided by our proprietary information request tracking and lead generation system, dpsmagdirect.com. Through our annual Top 30 Readers’ Choice Awards provide a snapshot of the products and services our readers are most interested in. This helps us better plan our editorial coverage for the year ahead. This year, we again see big interest in print engines, as more than 47 percent of the vendors represented provide print engines, ranging from toner- and inkjet-based production presses to digital label systems and wide format devices. Further, finishing comes in second with 31 percent of the winning companies focused on finishing. Additionally, 17 percent are software/workflow vendors and media/substrates make up five percent of the winners and honorable mentions. We take this chance to congratulate the Readers’ Choice winners and thank them for their continued dedication towards innovation in communications. If your favorite vendor did not make this year’s list, be sure to visit dpsmagdirect.com to show your interest and cast your vote for the 2018 awards. We asked the top 30 vendors and five honorable mentions to provide a company profile, as well as highlight up to three products that represent their ongoing commitment to the markets they serve. The products and associated INFO#s are presented in chart form for easy viewing starting on page 38. We encourage you to visit dpsmagdirect.com for more information. Founded in 2005, Aleyant provides robust software services to the graphic communications industry at value-driven prices. Aleyant creates web to print (W2P), estimating and production, and prepress automation workflow software for graphic arts professionals. By unifying production processes, the company expands its customers’ ability to be more available, efficient, and profitable. Aleyant’s flagship W2P software, Pressero, is a customizable retail and business-to-business storefront interface and has launched many of its clients into the exciting world of internet-based print sales. Aleyant also offers a web-based online design and variable data publishing system, eDocBuilder, as a separate product, as well as Aleyant tFLOW, a powerful digital and large format automation workflow solution that is integrated into the Aleyant ecosystem. Aleyant PrintJobManager is a cloud-based print job manager solution that quickly generates estimates and market-driven pricing, provides job management, raw material inventory tracking, and planning across a variety of print production technologies and applications. It includes a Zapier account for connectivity to over 750 applications. Aleyant solutions are already integrated with multiple MIS and W2P systems and are easily integrated with other third-party offerings commonly used in printing operations. Avanti’s goal is to help its users deliver more jobs in less time with the confidence in knowing that every aspect of a shop is integrated into one powerful platform. The JDF-certified Avanti Slingshot solution allows for the sophistication required by today’s marketing service providers. The platform is able to manage multiple lines of business, handle large/grand format, digital and offset print, as well as mail and fulfillment workflows. Connect islands of automation, eliminate breakpoints in your workflow, and get the information you want—when you want it, and where you want it—easily, with Avanti Slingshot. From order entry through to production and billing, Avanti Slingshot enables you to work more efficiently, control your costs, and move more jobs through the shop with ease. Canon U.S.A., Inc. is committed to helping its customers grow by providing an integrated array of automated, productive, user friendly, and profitable solutions. With one of the broadest portfolios in the industry the company develops hardware, such as digital presses and wide format printers, workflow software and professional services to assist a commercial printer in growing their business and profits. Canon U.S.A. is dedicated to its Kyosei philosophy of social and environmental responsibility. Colordyne Technologies is a leading manufacturer of high-speed digital color print solutions powered by Memjet technologies. Colordyne specializes in affordable, high speed, high resolution industrial and production class label and tag color on demand inkjet printers—including sheets, roll-to-roll, and fan-fold—for a range of applications and industries at breakthrough speeds and cost effectiveness. Colordyne maintains two offices in Scottsdale, AZ and Brookfield, WI. For over 60 years, Duplo has set the standard with innovative and reliable finishing products in the graphic arts and continues to lead the way with solutions that are automated, productive, and cost efficient. Today, Duplo manufactures a complete line of print finishing equipment from all-in-one slitter/cutter/creasers, folders, and perfect binders to sheet feeding, bookletmaking, and saddle stitching systems for offset and digital printers in both high production and small office environments. Headquartered in CA’s Silicon Valley, with offices worldwide, EFI is a leader in digital print. Offering value-added combinations of hardware, software, and consumables, the company is driving the print industry’s transformation from analog to digital color. Epson America, Inc. offers an extensive array of award-winning image capture and image output products for business, commercial print, graphic arts, photographic, signage, direct to garment, and fabric production. The Graphic Systems Division of Fujifilm North America Corporation delivers solutions for workflow, consultative services, remote monitoring, color standardization and G7 implementation, pressroom products, CTP, proofing, digital printing, wide format, packaging, labels, and specialty printing. Fujifilm also manufactures and distributes Sericol inks and is a leader in the development of UV inks for screen printing, narrow web, and large format digital printing. Fujifilm is committed to minimizing the environmental impact of its products and operations, proactively working to preserve the environment, and strives to educate printers about environmental best practices. GPA redefines the boundaries of print by providing innovative substrates, personalized business solutions, and unparalleled support to the graphics arts. Founded in 1940, its product offering complements the widest range of printing technologies, including HP Indigo, dry toner, wide format, offset, and desktop printing to help make your impactful visions a reality. GPA is part of Fedrigoni Group, a leading international manufacturer and converter of specialty papers founded in 1888. HP Inc. creates technology that makes life better for everyone, everywhere. Through its portfolio of printers, PCs, mobile devices, solutions, and services, the company engineers experiences that amaze. Kodak is a technology company focused on imaging. The company provides—directly and through partnerships with other innovative companies—hardware, software, consumables, and services to customers in the graphic arts, commercial print, publishing, packaging, entertainment and commercial films, and consumer products markets. With its world-class R&D capabilities, innovative solutions portfolio, and highly trusted brand, Kodak is helping customers around the globe to sustainably grow their own businesses and enjoy their lives. Konica Minolta Business Solutions U.S.A., Inc. is reshaping and revolutionizing the Workplace of the Future. With its comprehensive portfolio, the company delivers solutions to leverage mobility, cloud services, and optimize business processes with workflow automation. A U.S. manufacturer of flexible magnetic sheeting, strip, and custom profiles. The company offers printable magnetic sheeting for multiple printing presses including offset, flexographic, inkjet, and digital. Magnum Magnetics will take the time to understand your application before recommending a magnetic solution. Established in 1984, MBO America brought the renowned MBO brand to the U.S. Merging with Herzog + Heymann, manufacturer of specialized folding equipment, put MBO on the map as the most comprehensive, single-source provider of first class folding equipment and technology. MBO America is the only distributor that covers all bindery areas—folding, mailing, digital, die cutting—via its parent company’s solutions and partnerships with the most revered brands in postpress. Melissa is a leading provider of address management and list hygiene solutions. Choose from MAILERS+4 easy desktop mail preparation and presorting software, or Contact Zone to integrate, move, and cleanse data easily. Activate a free trial today. The company also offers NCOALink Move Update processing, phone, and email append. Looking for a mailing list? Create your own list and download in minutes consumer, business, email, and many specialty lists. The MGI Group is a global digital printing technology leader composed of MGI Digital Technology, Kora-Packmat, and Ceradrop. MGI’s digital printing and finishing solutions apply to a range of industries, including commercial printers, plastic card manufacturers, government agencies, packaging and label converters, in plants, publishers, and photo printers. MGI digital printing solutions include the JETvarnish 3D product series and Meteor Unlimited Colors multi-substrate press lines. Muller Martini is the world’s largest producer of print finishing solutions for commercial and book printers, trade binderies, and newspapers as well as short run and digital book manufacturers. OKI Data Americas continues to expand its presence in the digital production market with its C9 Series of five-color digital presses and ColorPainter wide format printers. Characterized by their ability to produce unique, advanced color output on an array of media, OKI’s industrial printers create new revenue streams for commercial printers, graphic designers, and signage industry entrepreneurs. Pitney Bowes is a global technology company powering billions of transactions—physical and digital—in the connected and borderless world of commerce. Clients around the world, including 90 percent of the Fortune 500, rely on products, solutions, services, and data from Pitney Bowes in the areas of customer information management, location intelligence, customer engagement, shipping, mailing, and global ecommerce. And with the innovative Pitney Bowes Commerce Cloud, clients can access the range of Pitney Bowes’ solutions, analytics, and APIs to drive commerce. Ricoh is a global technology company specializing in production print solutions, document management systems, office imaging equipment, visual communications systems, IT services, digital cameras, and industrial systems. Ricoh helps companies grow their businesses, improve customer engagement, and increase efficiencies by focusing on profitability, cost reduction, and document integrity. Ricoh’s Commercial & Industrial Printing Business Group leverages its advanced production print portfolio, proven software portfolio, and world-class professional services team to empower customers in the graphic arts community, in-plant shops, enterprises, and vertical industries to achieve these goals at an affordable price point and with customized solutions. RISO, Inc. is a supplier of cutsheet inkjet printers and accessories. The company’s compact, high-speed production printers provide fast, affordable full-color digital printing for everyday communications at speeds of up to 160 pages per minute. RISO’s digital duplicators include one- and two-color systems that reliably produce millions of copies, are environmentally friendly, and are easy and inexpensive to use. Roland DGA offers an extensive lineup of wide format inkjet printers and integrated printer/cutters, including TrueVIS, SOLJET, VersaEXPRESS, and VersaStudio eco-solvent printers, Texart dye-sublimation printers, and VersaUV UV printers. All Roland inkjet printers come bundled with powerful, easy-to-use RIP software, and several models offer specialty ink options, including White, Metallic Silver, Fluorescent, and Clear Coat inks. Long known as one of the graphic art’s dominant players in CTP and workflow, Screen is now a leading manufacturer of production class inkjet print engines helping its customers grow revenues, decrease costs, and find new business opportunities in diverse markets with inkjet printing technology for the high speed continuous, wide format, and label and packaging platforms. Signs365 is a pioneer of trade-only grand format printing. SmartSoft provides industry-leading mailing, address quality, web to print, MIS, and workflow automation software. Products include the all-in-one print workflow management system PressWise, the AccuMail suite of postal address correction software, the all-in-one mailing solution, SmartAddresser 5, and the mail tracking service, MailSpotter. Standard distributes a comprehensive range of inline, offline, and near-line print finishing solutions, including perfect binders, folders, saddlestitchers, die cutters, bookletmakers, and collators from Horizon International of Japan, and unwinders, rewinders, cutters, stackers, perforators, and inspection systems for continuous feed from Hunkeler AG of Switzerland. Standard serves both the digital and inkjet print market and conventional offset print environment with effective, high-speed solutions designed to maximize efficiency and productivity. Manufacturer of the Zip line of digital finishing equipment, Therm-O-Type’s NSF series foil stamping/embossing/die cutting presses, foil fusing equipment and supplies, thermography, and business card slitting equipment. Xeikon is an innovator in digital printing technology. The company designs, develops, and delivers web-fed digital color presses for labels and packaging applications, document printing, as well as commercial printing. These presses utilize LED-array-based dry toner electrophotography, open workflow software, and application-specific toners. Xerox Corporation is an $11 billion technology leader that innovates the way the world communicates, connects, and works. The company’s expertise is more important than ever as customers of all sizes look to improve productivity, maximize profitability, and increase satisfaction. It does this for small and mid-size businesses, large enterprises, governments, graphic communications providers, and for its partners who serve them. Xerox understands what’s at the heart of work—and all of the forms it can take. It embraces the increasingly complex world of paper and digital. Office and mobile. Personal and social. Every day across the globe—in more than 160 countries—its technology, software, and people successfully navigate those intersections. The company automates, personalizes, packages, analyzes, and secures information to keep its customers moving at an accelerated pace. Zünd, a leading manufacturer of digital flatbed cutting systems, offers multi-functional cutters/routers with a range of tools and automated/robotic material-handling options for processing rigid and flexible substrates. Designed for maximum versatility and modularity, G3/S3 and dual-beam D3 cutters are powered by Zünd Cut Center, a simple but comprehensive user interface and end-to-end production workflow for easy, productive, and profitable digital finishing. The Top 30 vendors represent only a small portion of the essential companies targeting digital print and document environments. Therefore, we couldn’t stop there! We also present five honorable mentions. Durst Image Technology U.S. is a manufacturer of professional wide and grand format digital UV inkjet printers, for today’s imaging industry. Durst products are designed for performance, reliability, and longevity, offering the highest print quality, productivity flexibility, and efficiency. Learn more about Durst product offerings and discover new business opportunities. MBM Corporation provides cutting-edge finishing products for today’s digital printing industries. Its extensive product line includes world-class Triumph cutters, Aerocut digital print finishing systems, folders, creasers, collators, and bookletmakers. All MBM products are backed by a team of factory-trained technicians and one of the best warranty packages in the industry. Rollem’s Insignia Series Die Cutters are designed to enhance products with die cutting, kiss-cutting, and embossing—ideal for packaging and promotional products up to 30 pt. thickness. Rollem’s Jetstream systems offer production-level slit/score/perforation functions on a variety of digital media. Rollem specializes in print finishing solutions for all sizes and types of print operations. Sun Enterprises USA manufactures business card slitters and the popular HS-100-Handi-Scor. The company features Gutter Cut for full-bleed cards—both automatic and manual—along with regular cut, ten- and 12-up formats. Skilled craftsmen build all machines in the U.S. Built to last, the products feature two-inch, high-carbon steel self-sharpening blades that are chain and gear driven—not belt driven. Quadient helps companies deliver meaningful interactions with current and future customers. A Neopost Digital Company, the Quadient portfolio of technology enables organizations to create better experiences for their customers through timely, optimized, contextual, highly individualized, and accurate communications for all channels. Quadient solutions bring together and activate the entire organization in the name of customer experience, through better collaboration and visibility into the customer journey. The company supports thousands of clients and partners worldwide in the financial services, insurance, and service provider industries in their quest to achieve customer experience excellence via mobile, digital, social media, and print technologies. Congratulations to this year’s Top 30 Reader’s Choice and honorable mention winners. These companies help push the industry forward, promoting innovation and disruption among their competitors and clients. We encourage readers to visit dpsmagdirect.com throughout the year to learn more about the companies and products covered in print and online.